LinkedIn is beginning to offer advertisers the option to buy display ads programmatically for desktop devices. Marketers will be able to buy display ads through an open auction or through LinkedIn's Private Auctions, using first- or third-party data along with LinkedIn's targeting of audience segments—such as visitors of the LinkedIn home page—on the professional network. Testing began in the third quarter last year with tech advertisers for both software and hardware, as well as other industries such as telecoms and financial services. According to Russell Glass, LinkedIn's head of products, the service is part of a two- to three-year overhaul of the company's ads business in order to simplify and extend advertising on the platform. He said the scale of LinkedIn's professional network across the Internet, combined with a logged-in audience is attractive to business-to-business marketers. "We don't want to reinvent the wheel," he said in an interview. "We want to build table stakes capabilities into our platform in a way that highlights our differences, but is kind of what marketers have come to expect." For example, the LinkedIn Account Targeting product launched in March, which allows marketers running native ads to target user profiles based on which companies they're trying to reach. 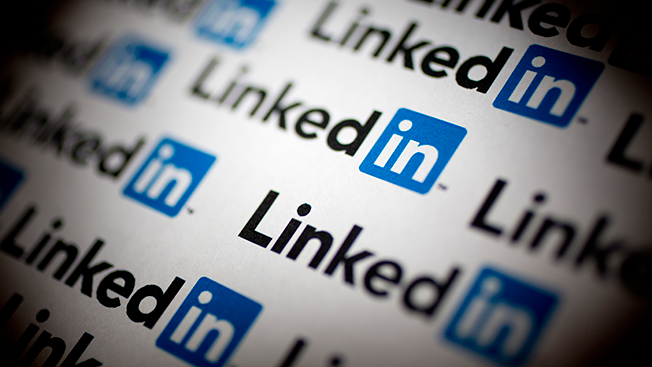 According to the company's first-quarter 2015 earnings announcement in late April, advertising through LinkedIn Marketing Solutions grew 29 percent year over year to $154 million. Sponsored content now accounts for 56 percent of that total revenue. While today's announcement is the first time LinkedIn has offered programmatic for display ads, it's already been offering the service for sponsored content—a key part in the company's advertising business that grew 80 percent year over year in the first quarter. Like a majority of its competitors, mobile is now accounting for more than 50 percent of total traffic and after the first quarter totaled 55 percent. And then there are the numerous possibilities of how LinkedIn might utilize the capabilities of Microsoft, which announced earlier this month its plans to acquire the professional network for $26.2 billion—one of the biggest tech industry deals in history. Glass wouldn't go into details about what kind of products might be in the pipeline. However, while some industry experts guess the combined company would be in a better position to compete with CRM giants like Salesforce, there could be plenty of advertising benefits as well. "If you think about Microsoft being the world's leading professional productivity cloud and you think about LinkedIn being the world's leading professional network, it doesn't take much of a leap to think about the opportunities that are possible by bringing those two things together," he said. But while advertising revenue is growing, that growth could slow down. According to a report earlier this year from eMarketer, LinkedIn—which now has 430 million users—has one of the slowest growth rates, with ad revenues expected to grow 20.5 percent this year and 17.8 percent next year. Competitors like Twitter and Facebook are on tract to grow much faster, with Twitter ad revenue expected to grow 45 percent in 2016 and Facebook to grow 31.5 percent, per eMarketer. However, eMarketer estimated earlier this year that LinkedIn had one of the fastest mobile growth rates in the U.S. in 2015, with mobile revenue rising 170 percent. This year, eMarketer projects it will be closer to the national average, growing at 35.4 percent and putting it behind Facebook and Twitter. "The bigger you get, the harder it is to grow," Glass said when asked about the slowdown. "And at the same time, we're still growing at a hyper growth tick. I think that is really driven by the unique nature of this platform, and the differentiating nature of what we can deliver to marketers, particularly in our audience and our content."